Callery pear along the edge of a forest in northern Martin County. I’ve seen a lot of plant invasions, but I have NEVER seen anything like what I saw in northern Martin County this week. A beautiful forest with nothing but Callery pear seedlings in the understory. ’Sounds bad’, you say, ‘but I don’t know what Callery pear is and probably don’t have it in my neighborhood.’ Oh, but you do. If you look outside in mid-April, it’s likely you’ll see Callery pear in bloom. You may know it by its popular cultivar names – Bradford pear, Chanticleer pear, Aristocrat pear, Cleveland Select pear. They are all cultivars of Callery pear, a small ornamental flowering tree brought to the U.S. from China in the late 1800s. Fast growing, tolerant of air pollution, disease resistant, and pretty white flowers in early spring – what more could you want in a landscaping tree? Bradford pear was the first popular cultivar and was widely used in landscaping from the 1950′s on. Cultivars are propagated by cloning, so that each individual is genetically identical. Because Callery pear is self-incompatible, Bradford pears could not pollinate themselves and produce fruits. So on top of all the other advantages, it didn’t produce messy fruits. Unfortunately, Bradford pear had a big flaw – it has a weak branch structure meant that the branches would eventually split and kill the tree. So horticulturists developed other cultivars with better branch structure. Over time, many other cultivars were released and used in landscaping. Each one of those cultivars is genetically different from the other cultivars, which means they can cross with each other and produce fruits. Lots and lots of fruits. Callery pear is also a popular root stock for grafting other pears. If the grafted pear dies, the Callery pear root stock will continue to grow and will produce abundant fruits. The Callery pear invasion in northern Martin County came from a nursery in the area that grew Callery pear back in the 1910s and 1920s. The nursery eventually went out of business, but the pears lived on. Over the years, fruits were produced and birds ate the fruits and then spread the seeds far and wide. And now? 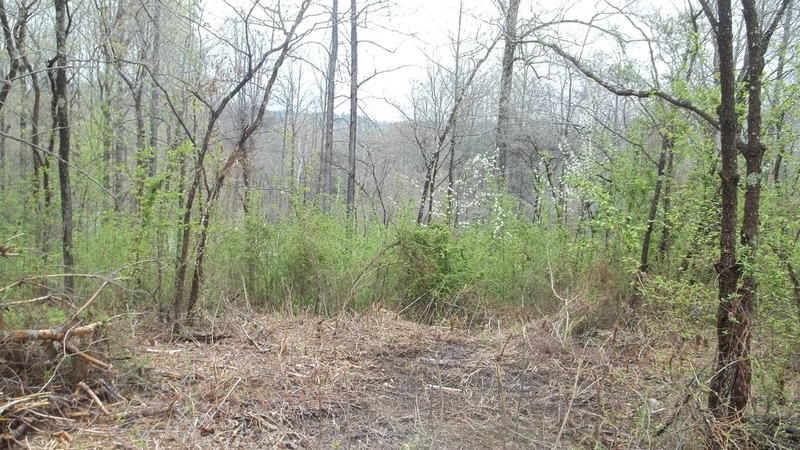 It’s estimated there are 900 acres of forest with an understory completely dominated by Callery pear. Areas of the forest are so dense it is impossible to walk through the forest. 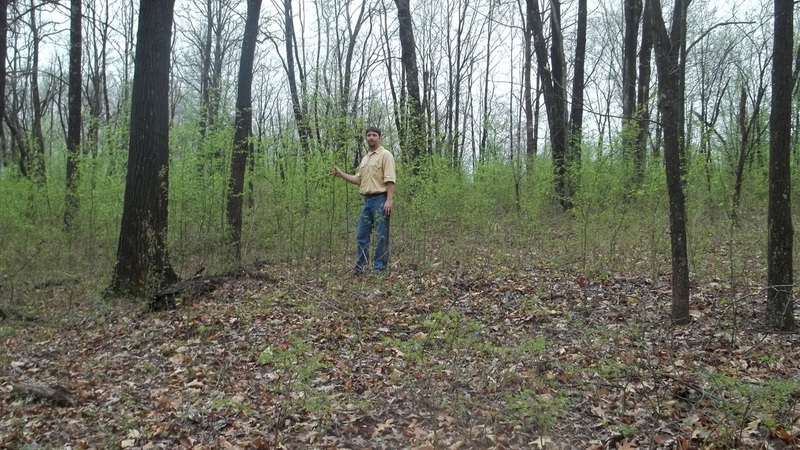 Thousands more acres of forest have Callery pear in the understory, but it does not yet dominate the forest floor. Forest areas that have had timber harvest are a sea of white flowers in mid-April, with Callery pear dominating the regenerating forest. I’m bringing this to your attention because right now, this is the only place in the Midwest where Callery pear has invaded so densely over such a large area. 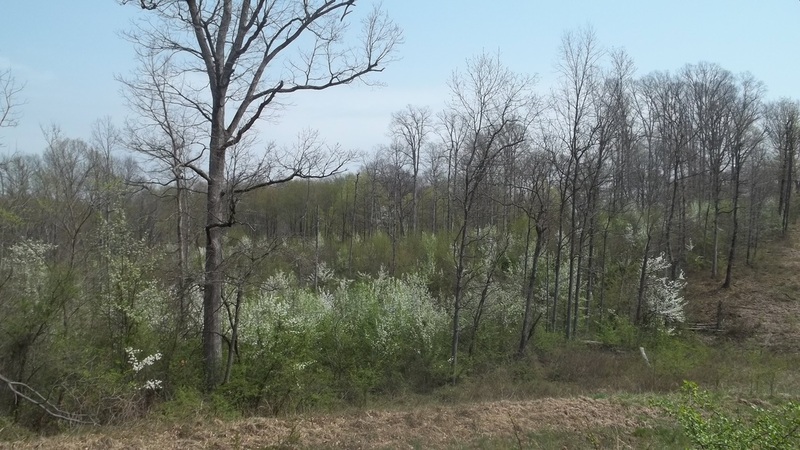 There are places throughout Indiana where we are seeing scattered Callery pear in old fields, highway cloverleafs, and other disturbed habitats, but this Martin County invasion is a glimpse of what the rest of the state could look like in coming years. The only difference between the Martin County invasion and the forest or prairie in your back yard is the length of time that Callery pear has been planted on the landscape. We still have time to stop this coming invasion. It’s simple. Don’t plant Callery pear in your yard. If it’s in your yard now, kill it. Replace it with a native flowering tree. Then tell your neighbors. Tell your local nursery that they should not sell this species. 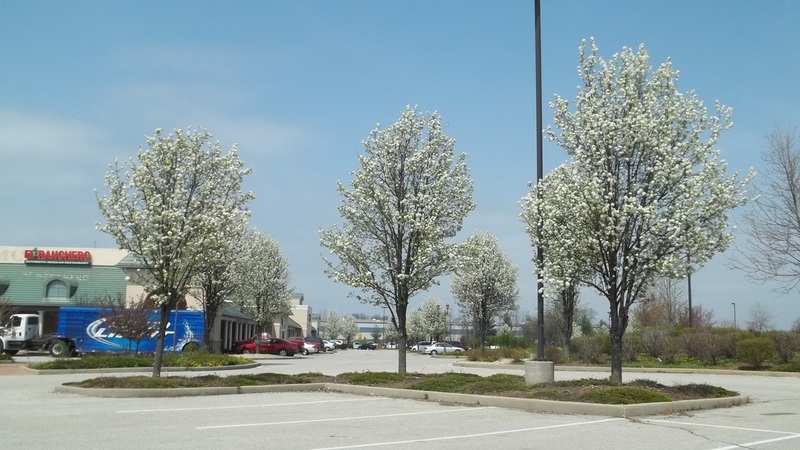 Tell that local strip mall with dozens of Callery pears that using this species in landscaping is hurting our forests. A branch of callery pear with flower clusters and leaves. Dense green understory of Callery pear in the forest. An area of dense Callery pear that was cleared with a forestry mower, with more Callery pear in the background. Callery pear in bloom along powerline ROW. Timber harvest area dominated by Callery pear. On my way back home from Martin County, I was struck by how many Callery pears are in the strip malls and front yards of Bloomington. Please report Callery pear growing outside of cultivation. 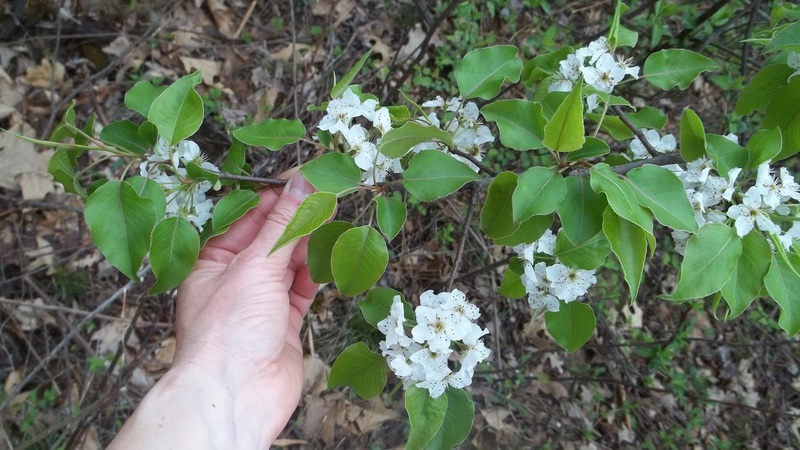 Want more information on Callery pear, including how to control it? What should I plant instead of Callery pear?